Jane Marie Beckering is running for re-election to a six-year term on the 3rd District Court of Appeals. Only the two incumbent judges are running in the Nov. 6 general election: Beckering and Douglas B. Shapiro. 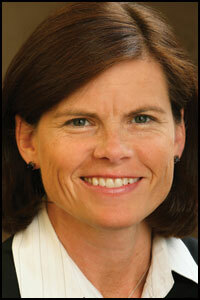 Beckering has served on the Court of Appeals since 2007, when she was appointed to the bench by Gov. Jennifer Granholm, a Democrat, to replace Judge Janet Neff. Beckering subsequently ran unopposed in 2008 for a partial term, and was unopposed again in 2012 for a full six-year term. In 2006, Beckering ran for a seat on the Michigan Supreme Court but did not prevail in that statewide race. Prior to her appointment to the 3rd District Court of Appeals, Beckering was a co-founder and partner in the Grand Rapids law firm of Buchanan & Beckering PLC, along with her father John C. Buchanan and her brother, Rob Buchanan. She was a trial lawyer specializing in medical negligence and wrongful death cases. She began her career working with the Chicago law firm of McDermott, Will & Emery PC, handling commercial litigation. Beckering is a member of the Michigan Supreme Court Committee on Model Civil Jury Instructions and the Steering Committee for the Hillman Trial Advocacy Program. She is co-editor of Michigan Civil Procedure, published by the Institute of Continuing Legal Education. Her community work previously included serving on the board of the Michigan Migrant Legal Assistance Project, where she was secretary/treasurer for four years. She earned an undergraduate degree from the University of Michigan and a law degree from the University of Wisconsin Madison. Beckering lives in the Grand Rapids area and is married to Ray Beckering, an assistant U.S. attorney for the Western District of Michigan. The couple has three children. Troy Haney, a Grand Rapids attorney, is serving as her campaign treasurer.